One of the founding Partners of Atlas, Mads heads the Vessel Management sector. Mads was employed by the A. P. Moller Group (Maersk) from 1977 until the formation of Atlas in 1989. Has lived and worked inCopenhagen, Mexico City, New York and Houston. Whilst with Maersk, Mads was the manager of their gas and special tanker department in the United States for 6 years, having responsibility for North America and Mexico. Currently active in the LPG and LNG product marketing business after more than 25 years in a career of LPG shipping and trading. Steve started Salem Energy in 1993 following his position at Enron as Vice President for Global LPG marketing, to trade, broker and consult in the international LPG/LNG market place. 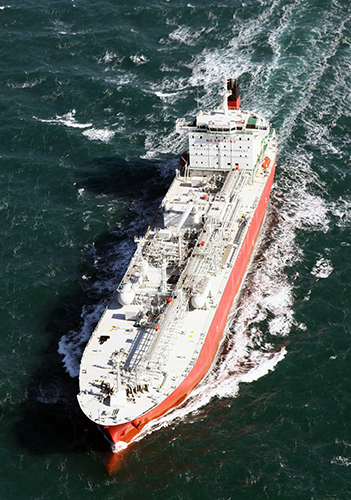 Current activities include assisting in LPG terminal projects in U.S. and Canada. Publisher of the International LPG Directory. Current Manager of the Atlas managed gas fleet transporting in excess of 2 million tons of Anhydrous Ammonia globally per annum. Peter joined Atlas after more than 35 years of Managing Operations for the worldwide fleet of the Clipper Group. Financial coordinator handling all monetary activities for the fleet operations, brokerage and payment/collection globally.